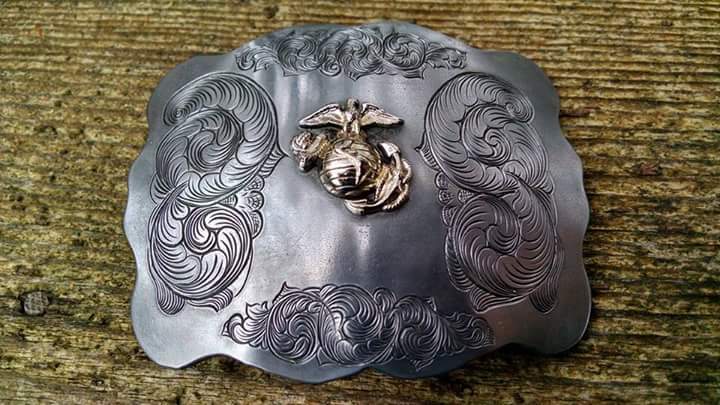 Description: The Marine Corps buckle was made the same way [as the Airborne Buckle], but in Steel, instead of German silver, and there is much more scrollwork with interlocking scrolls. My father was a former Marine, but retired from the Air force. I believe that he was more proud of being a Marine during the Korean war.